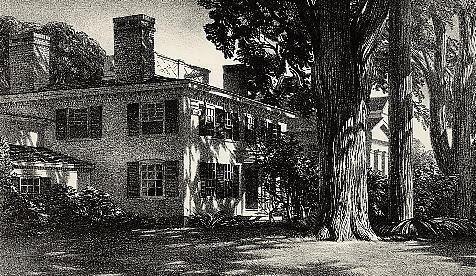 Kramer Fine Art | The Governer's House Wiscasset. Lithograph, 1948, Stuckey 173, edition of 40. Signed & numbered in pencil. 7 13/16 x 13 3/8.